Stay up to date with news, events and special offers. The Villa is the main part of the Fornacina complex, which also includes a large annex, a large garden and a swimming pool. The building has been enriched through painstaking renovation that has restored the building's distinguishing characteristics: from detailing in gray sandstone and decorations made of wrought iron, terracotta floors and exposed wooden beams, typical of the early nineteenth century. The style of each suite has been made using typical Tuscan materials: terracotta, exposed beams, original doors and windows. Other elements that recall a noble past have been included, such as the large wall panels throughout the annex. 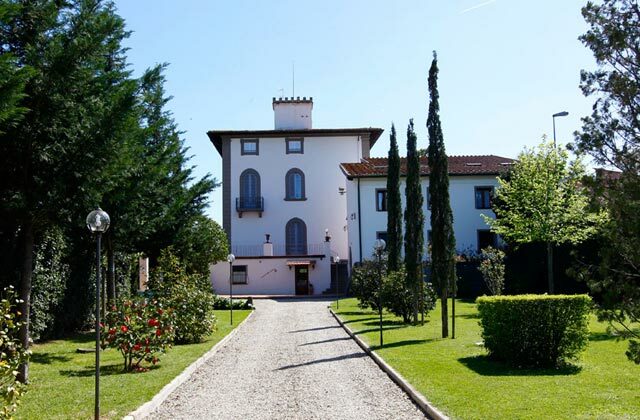 Gardens and a swimming pool add to the beauty of an accommodation that also offers outdoor spaces, and provides an ideal place to stay for discovering Florence (20 minutes by car), the many outlets nearby or the charming villages of the Chianti region. The hotel is also ideal for ceremonies and has a meeting room that can be used for conferences or public events.